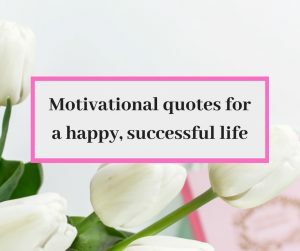 Motivational quotes play an important part in uplifting the spirit when we feel depressed and feel worthless. It is said that words have the power. This is the reason why these great men of the world provided us these words of wisdom in the form of quotes.My favorite is the simplest one by Mark Twain ” The secret of getting ahead is getting started. Sometimes we lack the that spark to ignite our dreams. These words give us that energy and power to think towards taking action. Whenever I feel stuck somewhere and procrastinate in lieu of getting all the information first, I just act upon his advice( quote). And believe me , taking first step leads to another and finally you reach at your target. 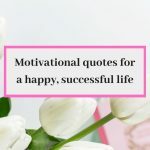 Here are some motivational quotes that will really help you in achieving a happy and fulfilled life. 8. “Remember your dreams and fight for them. You must know what you want from life. There is just one thing that makes your dream impossible: the feat of failure. “ Paulo Coelho. 16. 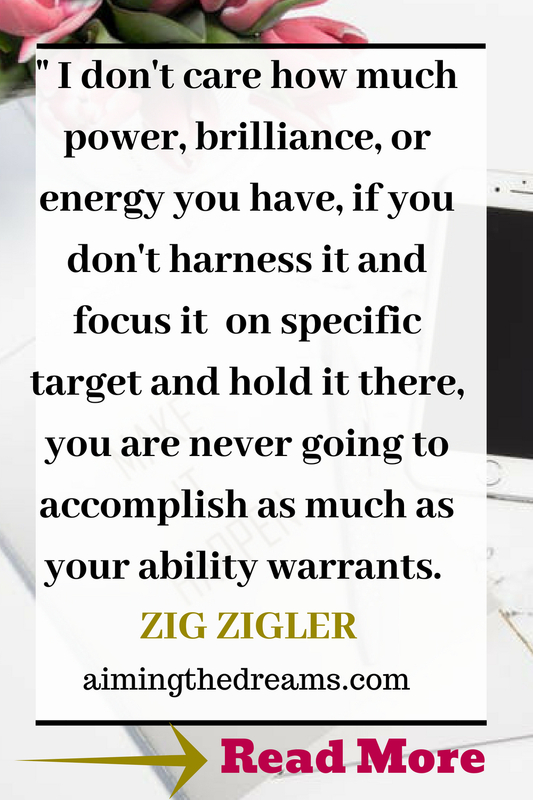 “I don’t care how much power ,brilliance, or energy you have, if you don’t harness it and focus it on specific target and hold it there, you are never going to accomplish as much as your ability warrants.” Zig Ziglar. 19. “One part at a time, one day at a time, we can accomplish any goal we set for ourselves.” Karen Casey.